standard by Telecommunications Industries Association, 08/11/2009. standard by Telecommunications Industries Association, 02/02/2009. standard by Telecommunications Industries Association, 02/01/2009. standard by Telecommunications Industries Association, 2009.
standard by Telecommunications Industries Association, 06/01/2008. 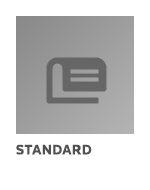 standard by Telecommunications Industries Association, 03/17/2008. standard by Telecommunications Industries Association, 01/01/2008. standard by Telecommunications Industries Association, 08/01/2007. standard by Telecommunications Industries Association, 05/01/2007.